A disciplined athlete, Avi Benlolo believes that excellence can be achieved through strength, endurance, conviction and unending passion for one’s principles and core beliefs. His academic focus includes in-depth research on the Holocaust, antisemitism and racism. Through his work on genocide studies he documented survivor testimony from multiple genocide events around the world. In 2012, the Government of Canada appointed him to the Task Force for International Cooperation on Holocaust Education. He lectures regularly - most recently with a noted university faculty of education. In 2017 the Senate and President of the University of Haifa conferred on Mr. Benlolo its highest accolade, Doctor of Philosophy (Honoris Causa) for "promoting tolerance and democracy, and outstanding accomplishments in support of Holocaust education and combating antisemitism". The Avi Benlolo Scholarship Fund in National Security was established at the university in his honour. In 2016, Mr. Benlolo was awarded the Order of Vaughan from the City of Vaughan for his humanitarian effort and he was proud to receive the Canadian Race Relations Foundation Award of Excellence for the Tour for Humanity, a program of FSWC which he founded. The Lieutenant Governor of Ontario awarded Mr. Benlolo with the Queens Diamond Jubilee Medal for service to Canada and his community. He was voted one of top 50 most influential graduates (ever) of his high school at its 50th anniversary reunion. In 2018 The Government of Canada awarded him the Canada 150 pin for his contribution in human rights. 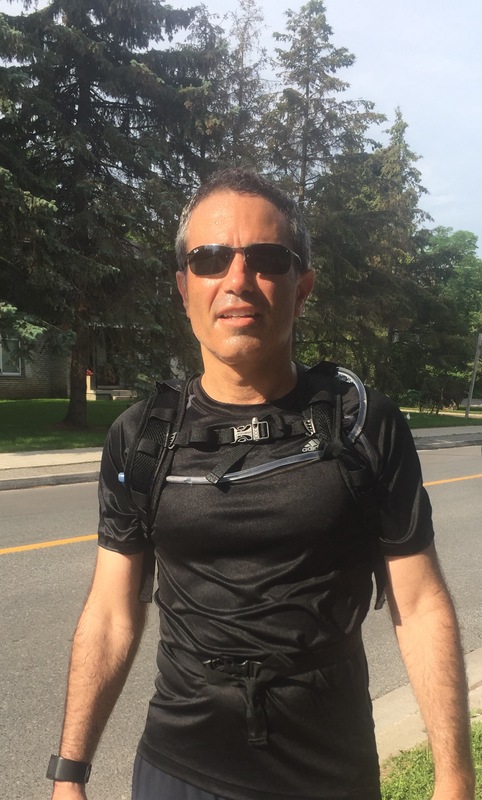 In 2015, The Canadian Jewish News selected Mr. Benlolo among "The Jewish community's movers and shakers – Influencers …who make the Jewish community tick". Among many features, Mr. Benlolo has been interviewed for his contributions by Lifestyles Magazine, We Are Associated magazine, J-Space, Celebrate Vaughan and other publications. In 2016 he participated in a Roundtable on Countering Racism at the Lieutenant Governor's Suite, Queens Park, Toronto. Mr. Benlolo is the founder and guiding force behind the annual Spirit of Hope Benefit, Freedom Day, Speaker's Idol, the Tolerance Training Center, "Compassion to Action" Holocaust education missions, the pioneering Tour for Humanity mobile Tolerance Education Center (www.tourforhumanity.com), Speakers Idol, and he has produced top educational videos like "Unless" and "Never Again". His programs which focus on human rights are attended by over 100,000 people every year. Over the span of his twenty-four year career, Mr. Benlolo has raised over $75 million for human rights advocacy and programs. His Canadian and global network is extensive; ranging from top Canadian business leaders to international thought and political figures Shimon Peres, Elie Wiesel, Salman Rushdie, Tony Blair, Bill Clinton, George W. Bush, David Cameron, Brian Mulroney, Stephen Harper, Condoleezza Rice, John Howard and Rudy Giuliani. Highlights in his career included travelling with former Prime Minister Stephen Harper to Israel, chatting with Shimon Peres and meeting Mikhail Gorbachev. He regularly confers with Canadian political leaders at all levels, senior officials in law enforcement and education and leading journalists and thought-leaders. Most recently, he was asked to testify to Parliament about Bill-C51 and published a chapter in the new book, "Tackling Hate" - among Canadian and international thought leaders. Today, Mr. Benlolo leads a very disciplined organization that is multifaceted, agile and able to respond to ongoing events and issues in real-time. He and his team are supported by over 30,000 Canadian donors; an exceptional Board of Directors, Governors and Senate and international colleagues and associates. A disciplined athlete, Mr. Benlolo believes that excellence can be achieved through strength, endurance, conviction and unending passion for one’s core beliefs.